This statistic shows a survey on usage of media for sharing news in Sweden in 2016. 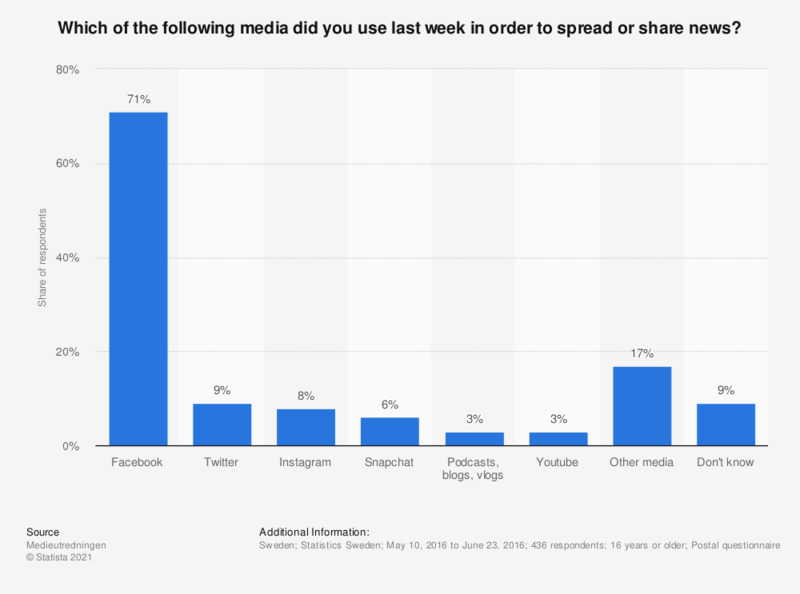 During the survey period, 71 percent of Swedish respondents stated to have used Facebook in the preceding week for spreading or sharing news. This question was phrased by the source as follows: "Vilket eller vilka av följande medier använde du dig av i förra veckan för att dela eller sprida nyheter?"